Georgia Women's Institute - Linda T. Muir, Esq. 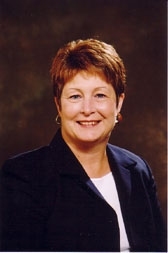 Linda Torrence Muir is a business, corporate and estate planning attorney based in Atlanta, Georgia, where she is Of Counsel with The Saylor Law Firm LLP (www.saylorlaw.com), located in Midtown Atlanta and focusing its practice in Business, Corporate, Tax, Wills, Estates and Probate. Ms. Muir has also established the firm in its Golden Isles Office, where it is convenient to clients in Sea Island, Saint Simons, and Brunswick. Her practice now focuses in the areas of Business, Corporate, Estate Planning and Public Policy Advocacy. A member of the Georgia State Bar since 1982, Ms. Muir was awarded the Juris Doctor degree that same year at Emory Law School, where she served on the editorial board of the Emory Law Journal. Throughout her career, Ms. Muir has believed in serving her profession and her community. She has served as President of the Legal Association of Women Students at Emory Law School, Secretary and President of the Atlanta Chapter of the American Corporate Counsel Association, President of the Vinings Homeowners Association, Founder of the Vinings Historic Preservation Society, and a Framer of the Women’s Leadership Board of the John F. Kennedy School of Government at Harvard University. Having served on the boards of a number of organizations from time to time, she currently serves as Chair of the Board of the Sole Practitioner/Small Firm Section of the Atlanta Bar Association, Chair of the State Bar’s subcommittee on Civics Education, Secretary of the Georgia Women’s Institute, of which she is a founder, Chair of the Cool Girls Advisory Council, Vice President Programs and Strategic Planning of The International Alliance for Women, and Past President of the Atlanta Women’s Network. Ms. Muir is committed to drawing upon her years of experience and her expertise to bring the highest quality of service to her clients and her community.